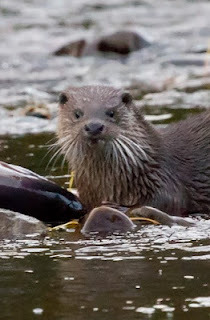 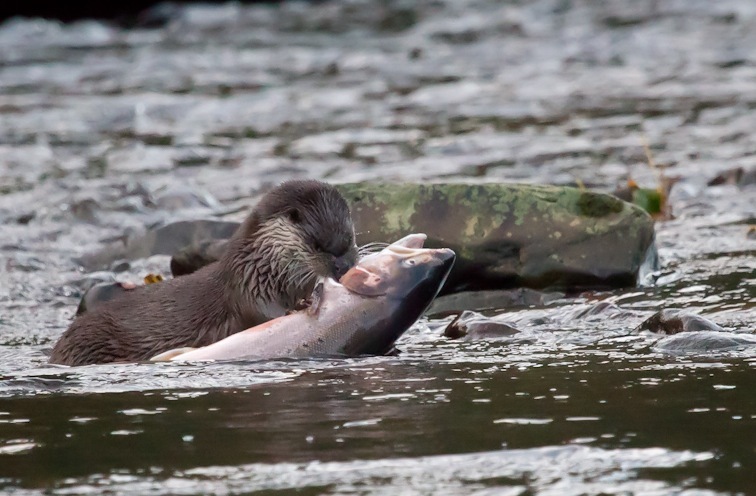 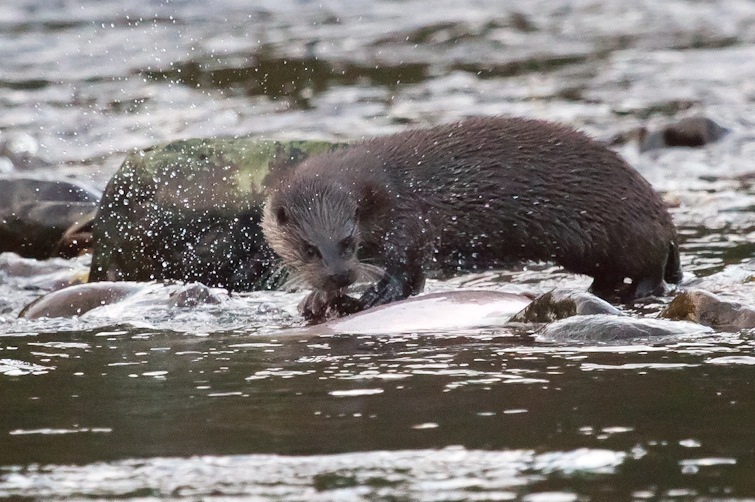 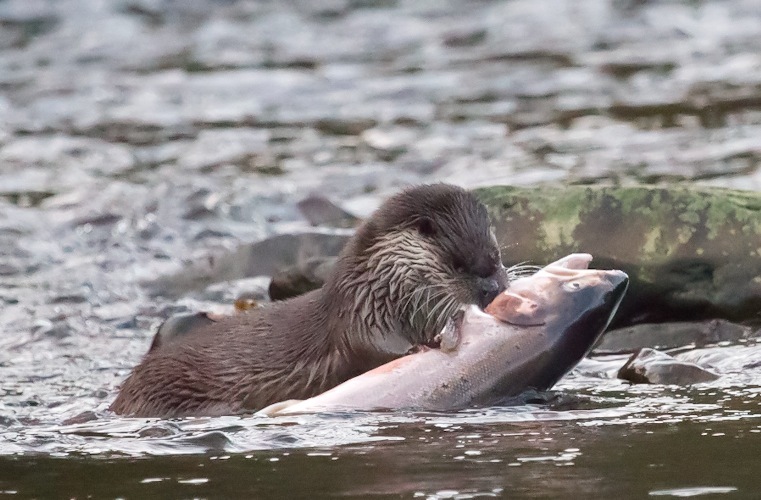 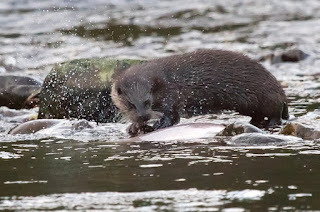 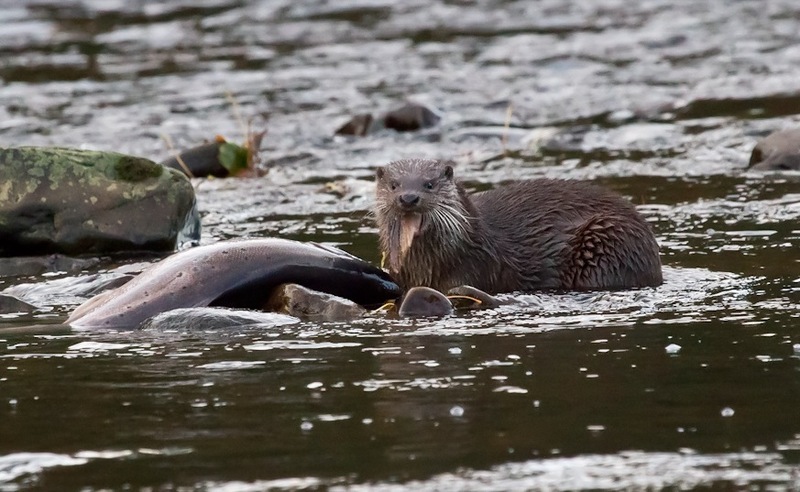 David's Natural History Diary: Otter - At last! I went to Low Barns early this morning. 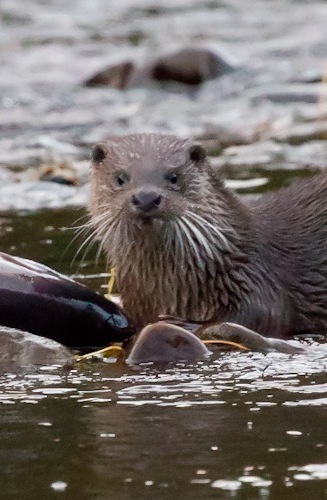 There was a heavy frost and all the lakes had a thin covering of ice. 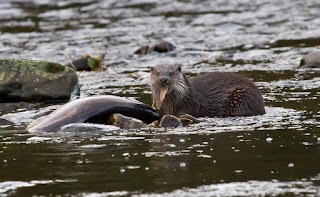 I went to the river Wear at the west end of the reserve. 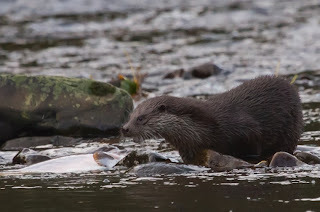 Looking upstream where there is a deep pool I saw some splashing about 70m away which through the binoculars turned out to be an otter chasing a large fish which it eventually caught. 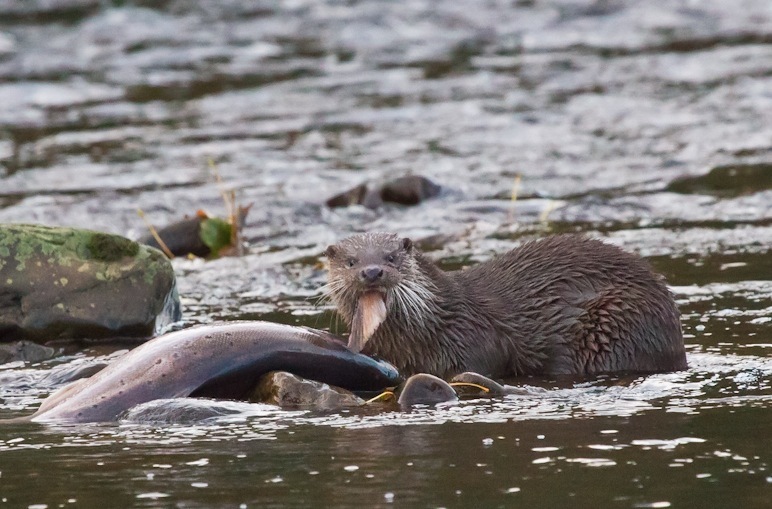 Fortunately it swam downstream and pulled the fish out about 25m away and started to eat it. I watched it for about 10 minutes until eventually I crept too close and the otter (and the fish) disappeared into the pool. 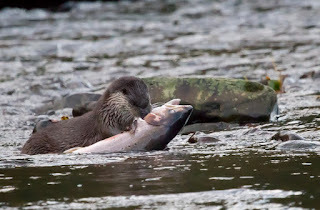 The fish which I think was a large sea trout was as big as the otter.